Increased padding and comfort in vest design. 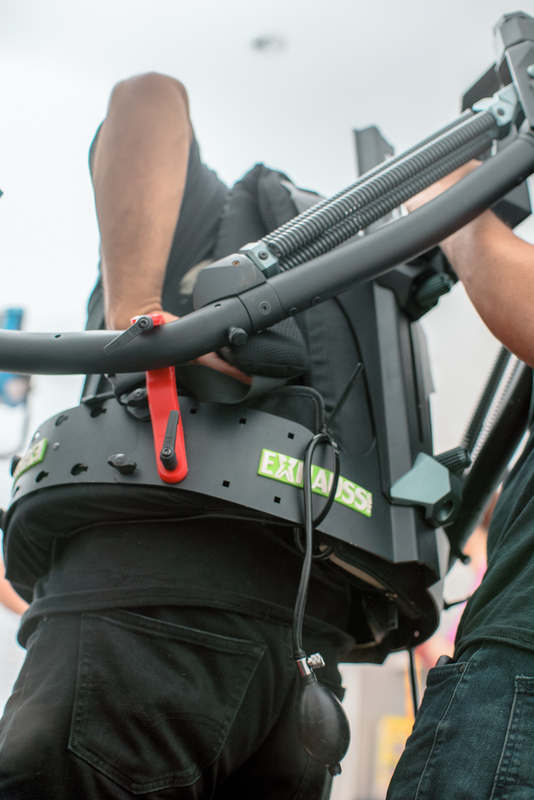 We’ve been working with Exhauss since the early development stages, in our view the Exoskeleton is one of the best gimbal camera support solutions in the market.The Exoskeleton allows operators the flexibility in moving your gimbal and camera setup side to side, vertically, circular motion, slow pushes and pull backs. 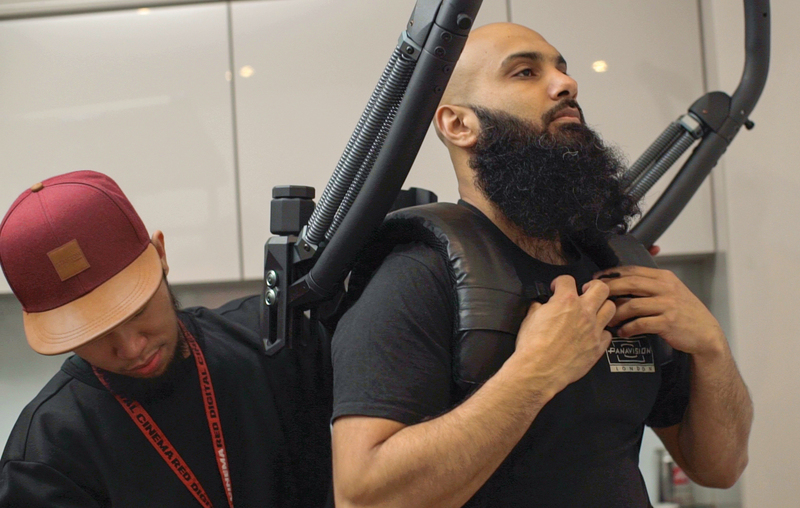 Naturally giving you the feeling that both Exoskeleton arms are an extension of your own body, combined with the Helix allows you to capture more than just tracking shots.The team at Exhauss has taken feedback from professionals out in the field and refined the Exoskeleton design to allow more movement, more comfort and more power. 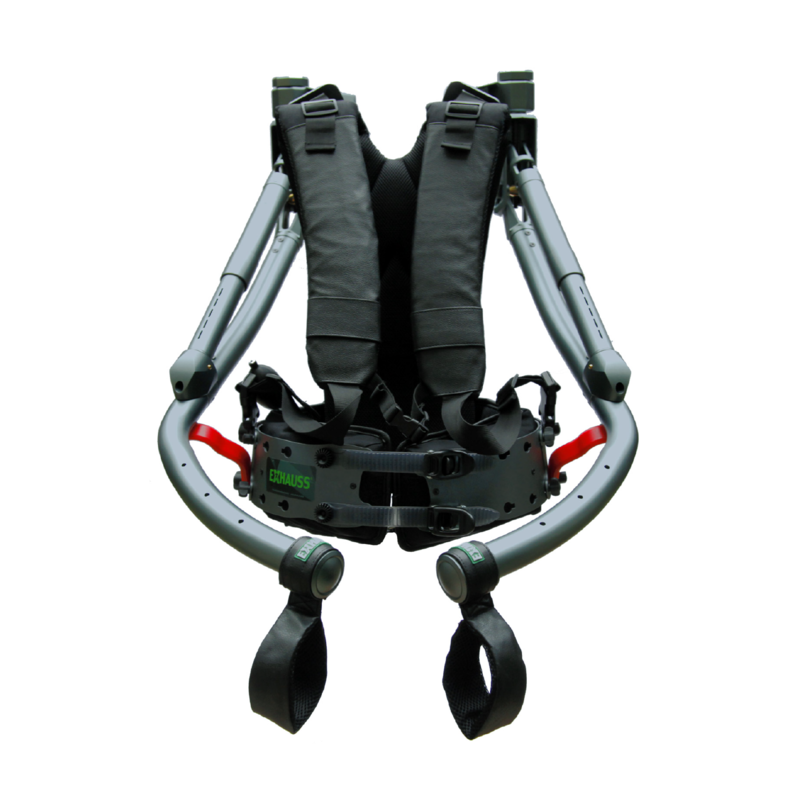 The Exoskeleton tackles real world situations such as going through stairways, doors, designed to fit in and around tight spaces. 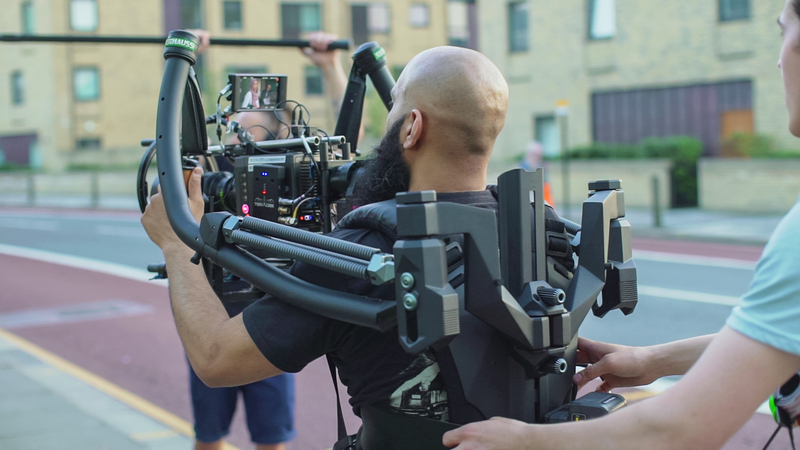 Book a test with a gimbal setup of your choice and get a real feel of the system. Test the Exo with a camera configuration of your choice. Bespoke tailor made package to suit your needs. Gimbal operator and technician training courses offered. UK sales, service and support.